I received this product for free from Smiley360 in exchange for my honest review. You can join Smiley360 here!” If you are in need of quick but festive easy Holiday Appetizers pick up a box of Boursin Cheese. I was having some girl friends over for an annual event and I was not feeling very inspired to create a recipe from scratch. Instead I thought I would create something festive but also easy with the Boursin Cheese. 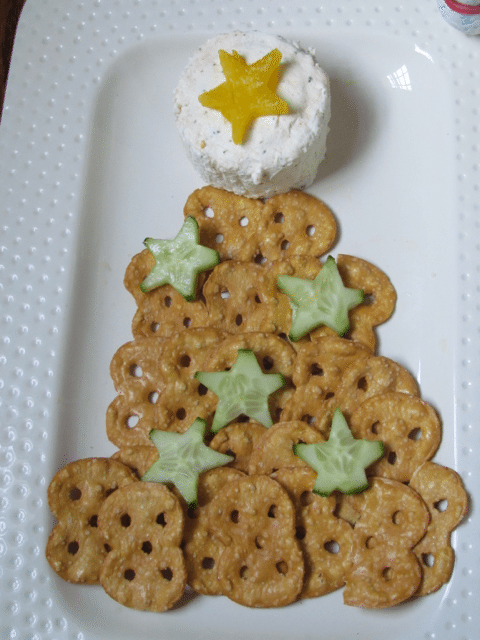 Why not a Christmas Tree, cheese platter. Well cheese platter may be a little broad. I purchased some pretzel chips and laid them out on the platter in a tree shape. I then cut out a yellow pepper with a star cookie cutter as well as some cucumber. Add the boursin cheese to the top of the plate and add some additional cucumber for the tree trunk. Simple but also flavorful. I thought I might have a lot left to use in a salad, but for the most part it was devoured. 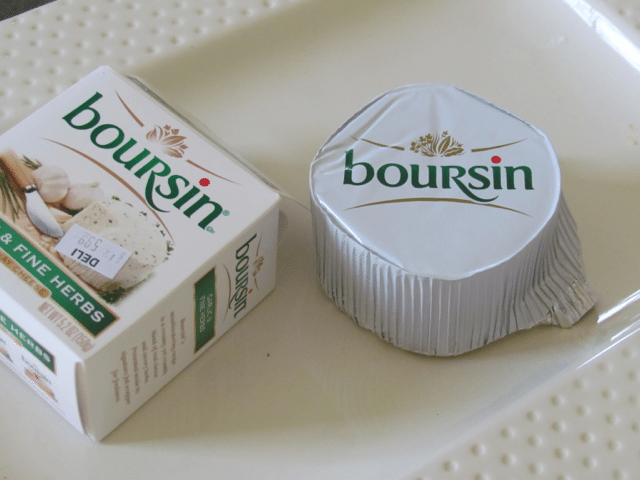 If you have not had Boursin yet it is like a flavored creamy cream cheese. It spreads so nicely and I had friends who said they topped chicken breasts with slices and baked it. I guess I will have to grab another box and try that. Be sure to Like Boursin on Facebook for ideas around entertaining: http://on.fb.me/1F5F24x and on Twitter: http://bit.ly/1xXvM1Y. 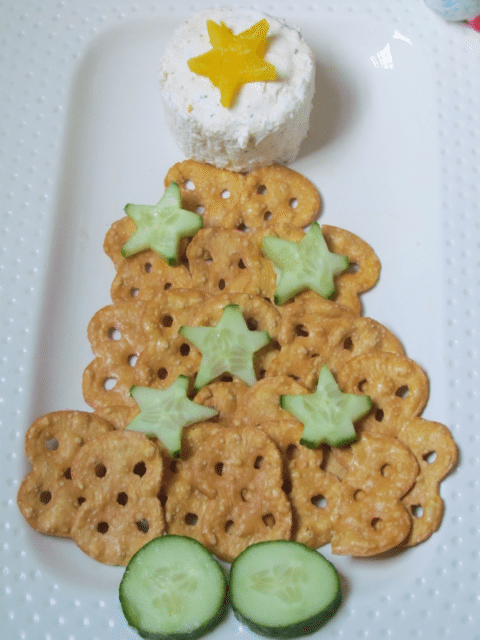 How do you like to use Boursin Cheese for was Holiday Appetizers? I like the way you displayed your crackers and cheese. too cute! Looks delicious! What acute way to serve your cheese. Will have to try this soon.